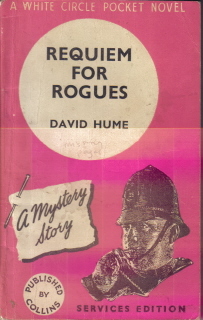 As I’ve suggested in an earlier blog (see 'The choice of titles' posted on 6 June 2010), it is Collins that seems to have made the most effort to provide what the military authorities were asking for, in terms of genre fiction, including crime novels and westerns. 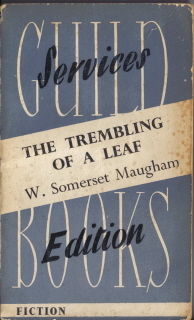 Guild Books retained a more eclectic mix of titles and authors, treading more on Penguin territory, if not quite as highbrow as some of Penguin’s own selections. 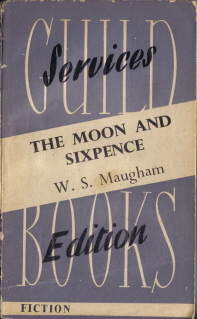 One consequence is that there is a much wider mix of authors in the Guild Series, with relatively few authors having more than one or two titles published. This probably also reflects the large number of different publishers contributing books to the series. With even the more important publishers providing only around 10 or 20 books, there was little chance to contribute several from a single author. 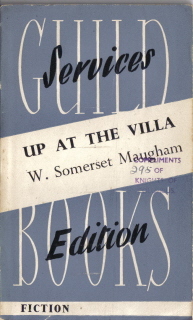 Heinemann however provided 4 books for the series by Somerset Maugham, while C.S Forester also managed to accumulate 4, coming from two different publishers. In the Collins series though, there was plenty of opportunity to build up substantial numbers of books by the same author, and many of their authors, whether in the crime and mystery or western genres, seem to have been very prolific. 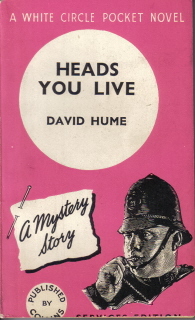 The two authors with the largest number of books published in the series, under a single name, are Peter Cheyney and David Hume, both prolific writers of mystery fiction. They have 8 titles each (Cheyney having one in the Guild Books series as well), while Agatha Christie has 7 titles published. This ignores though the widespread use of pseudonyms by writers of crime and mystery novels as well as westerns. 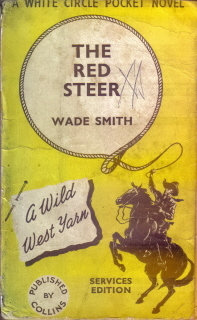 Cecil Street has a total of 9 titles, 4 published as Miles Burton and 5 as John Rhode, while the overall winner seems to be Charles Horace Snow, an American writer of westerns. 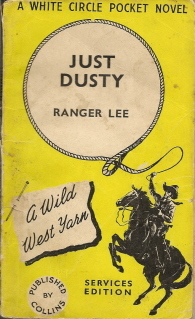 Amongst his many pseudonyms were Ranger Lee (4 books), Gary Marshall (4 books) and Wade Smith (3 books), for a grand total of 11 titles in the series. Another example then of America’s contribution to the British war effort. 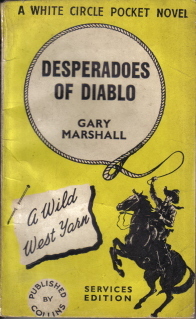 I suspect that Snow’s western novels are little read these days. 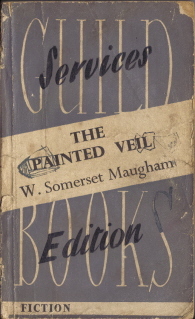 It’s probably fair to say that the only one of the Collins authors to have retained much of a literary reputation 65 years on, is Agatha Christie, perhaps along with Ngaio Marsh, who had just one book in the series. Some of the others though, perhaps particularly Cecil Street, still have a substantial following and are widely read as well as collected. Others seem to have descended into obscurity. Does anybody still read Tex Curran or Clifford Hornby?